vSphere 6.5 has also a Proactive HA and it works with hardware provided OEM vendors (HP, Dell and Cisco) . Those vendors have their own hardware monitoring system, and there will be a vSphere plugin. Once the monitoring system has a fault, vCenter will get alerted and you’ll be able to choose what to do. The idea is to vMotion VMs of the host before a more problems on that particular host occur. Note it is more for kind of partial host failures or better say degraded hosts state, where a host has a component failure. Check my detailed post – VMware vSphere 6.5 – HA and DRS Improvements. You’ll be able to configure what to do depending on what kind of failure the host is experiencing. (type of failure). 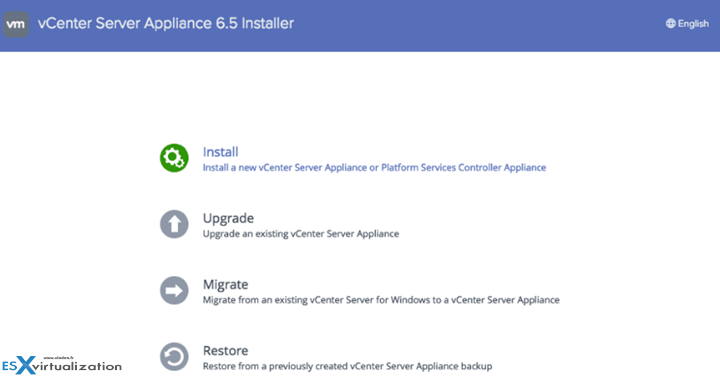 VMware vSphere and VCSA 6.5: Not only that the features/functions parity is now equal with Windows based vCenter, but we have new features appearing in the VCSA based vCenter, which will not benefit the Windows-based deployments. backend DB, server, and also a frontend client. Here is an overview of a remediation assistant, allowing you to save the settings as default cluster remediation options. Virtual Hardware 13 – allows you to create and run VMs with up to 6TB of memory, UEFI secure boot for guest OS. Host Profiles improvements – New Filters, can find specific value where you can then put your own option. Bookmarks – you can save settings which you need to come back later, or you change certain settings often. By bookmarking the branch you’ll find it easier. You can also newly copy settings between profiles. Also, New Pre-check – some hosts will report on what’s wrong before remediations. Or, compliance view allowing you to see a side-by-side comparison between host profile and value which is on the host. Parallel remediation for hosts not requiring maintenance mode. Check detailed post VMware vSphere 6.5 – VUM, AutoDeploy, and Host Profiles. Scripts – you can now run post-boot scripts after the auto deploy boots up the hosts. Those scripts can be on the ESXi hosts. Attach them to your deploy rule and hosts will run those scripts when they come up. UEFI and IPv6 support – supported now. Scalability Improvements – now the AutoDeploy can manage easily over 300+ hosts without problems. Native HA and Backup/restore – now too, available for VUM allowing to have much more resiliency for your entire vSphere environment including VUM. Round Robin reverse proxy caching – it’s possible to integrate proxy cache to store the ESXi bits, rather than to pull them each time from the AutoDeploy host. New cmdlets for AutoDeploy – you can use Get-DeployCommand to view AutoDeploy cmdlets. This is only a small fraction of new features that are out! The only regret is that there is no more Windows C# client, but the good news is that there is the new HTML5 based web client which is very fast. UPDATE: VMware vCenter 6.5e has been released (vCenter updated fixing vulnerabilities). vCenter Server 6.5 might fail with an error of the type ERROR: duplicate key value violates unique constraint “pk_vpx_guest_disk”The vpxd service on vCenter Server 6.5 might intermittently fail with the following error stack in the log files:YYYY-MM-DDT00:01:24.342Z error vpxd[7F8DD228C700] [[email protected] sub=Default [email protected]] [VdbStatement] >SQLError was thrown: "ODBC error: (23505) - ERROR: duplicate key value violates unique constraint "pk_vpx_guest_disk";--> Error while executing the query" is returned when executing SQL statement "INSERT INTO VPX_GUEST_DISK (VM_ID, PATH, CAPACITY, >FREE_SPACE) VALUES (?, ?, ?, ?)" You can download this patch for VCSA by going to the VMware Patch Download Center and choosing VC from the Search by Product drop down. 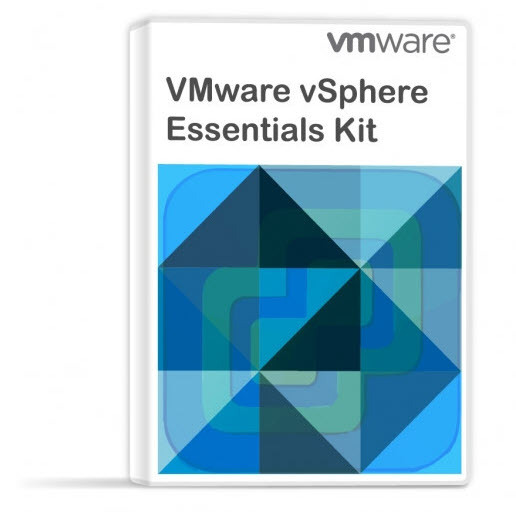 This page has all our blog posts with deep technical information about different features of VMware vSphere 6.5, ESXi 6.5 or associated products such as DR, Backup, replication, monitoring, with many how-to articles and videos. Looks great. Does the 6.0 license still apply or is this being released with purchase requirement? It depends on of your support contract. vSphere can be purchased with 1 or 3 years support (which has also the upgrades in it). I checked and am covered. 🙂 Verifed on a test host but will 3nd up waiting a few months to do the production upgrade since Veeam9.5 doesn’t support it. I’m anticipating about 2 months for 9.5 update 1 to be released. In the test environment, I started the upgrade and was never prompted for any info about my external PSC and the install/upgrade makes no mention in the menu’s other than it’s required to upgrade the psc first. Alas, I can’t find docs anywhere on upgrading the psc first. I’m attempting to do this from a Win10 machine. Thanks Gus for your feedback. Unfortunately, I’m behind with reading vSphere 6.5 upgrading docs as well. Even if the beta code was floating around for some time…. I think that no matter which system you use for the 6.5, it will do the job. The question is for the external PSC. I remember that in the 6.5 (VCSA only) you won’t be able to use the built-in HA. You have to have the PSC embedded. But I can completely understand architectural constraints (pre 6.5) for separating it. How would i be able to download the new release if I have previously downloaded an older version for testing? I am a VMware partner and have trial keys to use for 90 days but I cannot get an official ISO when I log into myVMware. Do you have any benchmarks that show vm performance level increases simply by moving to ESXi 6.5 from 5.5? And/or performance increase or latency decrease at the hypervisor level?